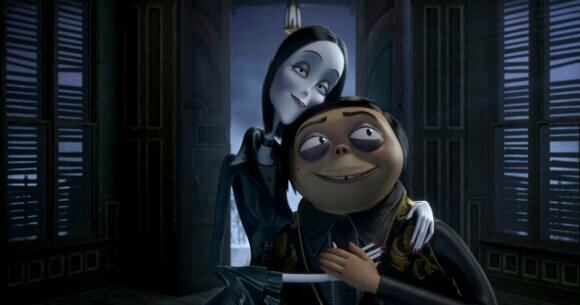 Metro Goldwyn Mayer Pictures is showing off the first teaser trailer for the animated comedy, The Addams Family, based on the classic live-action television series. The kooky show featured a family of monsters living among “normal” people in a suburban town. John Astin, Carolyn Jones, Jackie Coogan, Ted Cassidy, Lisa Loring, and Ken Weatherwax led the cast of the series which, surprisingly, only ran for two seasons. In addition to the teaser trailer, MGM released an official poster as well as a still from the 2019 theatrical release. The voice cast features Golden Globe winner Oscar Isaac (Show Me a Hero), Oscar winner Charlize Theron (Monster), Spirit Awards winner Chloë Grace Moretz (Suspiria), Screen Actors Guild Awards winner Finn Wolfhard (Stranger Things), Nick Kroll, Oscar nominee Bette Midler (For the Boys, The Rose), and Oscar winner Allison Janney (I, Tonya). Conrad Vernon (Sausage Party, Madagascar 3: Europe’s Most Wanted) and Greg Tiernan (the Thomas & Friends films) directed, and Vernon produced along with Gail Berman, Alex Schwartz, and Alison O’Brien. Kevin Miserocchi, Andrew Mittman, and Joe Earley served as executive producers. 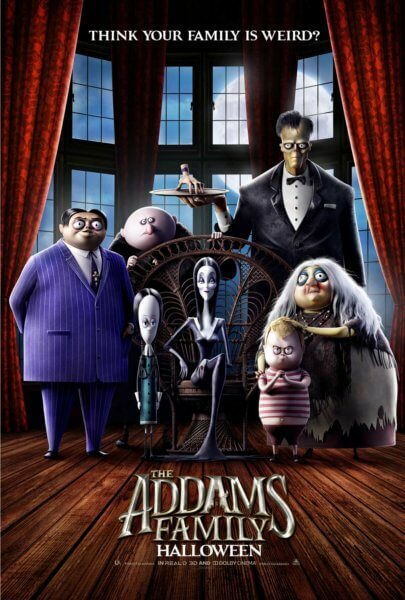 The Addams Family will open in theaters on October 11, 2019. The series was previously adapted into a live-action feature film starring Anjelica Huston, Raul Julia, Christina Ricci, and Christopher Lloyd and released in November 1991.